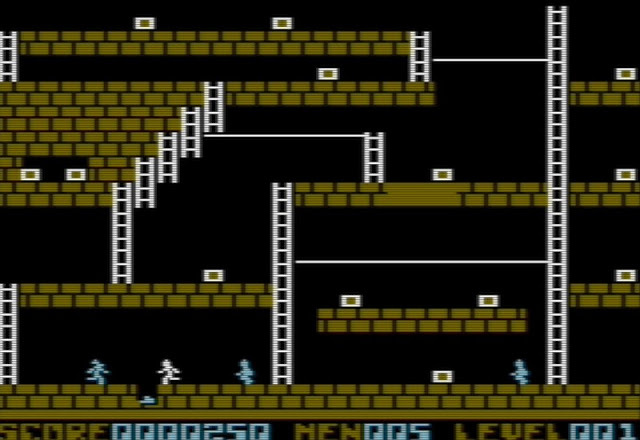 Indie Retro News: Professional Lode Runner - Clean up version of a great C64 game! 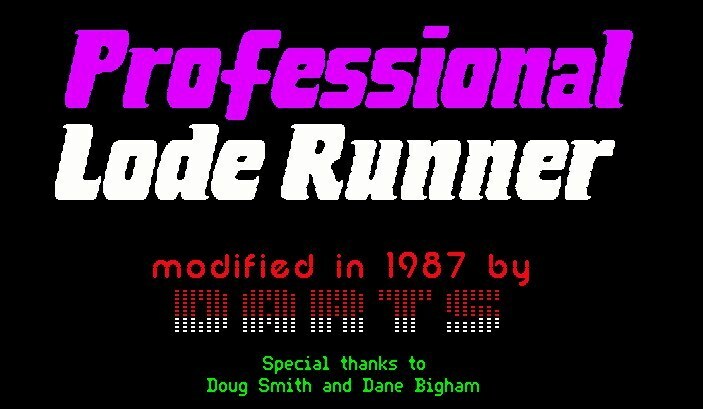 Professional Lode Runner - Clean up version of a great C64 game! When I was just a youngster one game I remember so fondly, was the 1980's classic Lode Runner. It was a game I used to play on a original monochrome Macintosh for many hours in a darkened room away from the outside world. It was actually published by Brøderbund in 1983 and appeared on so many systems, it would be easy enough even now to find a copy. In fact the C64 had many different versions differing in level design, speed and even containing an editor. As such, it is the Professional Lode Runner modified by DARTS in 1987, and released today by Reengine & Mod for the C64 as a clean up version, that deserves a mention. In this game you play as a little white man that must collect all the gold on the level to move on to the next. What makes this game so damn fun apart from all the running about and climbing ladders, is being able to dig into the ground and watching your enemies fall into a hole. Be careful though, if you don't time it right and the hole doesn't close up, that enemy will climb out and be another thorn in your side. Professional Lode Runner is a brilliant game, it is in fact one of my favourites. Now that Reengine & Mod has released a clean up version of the olf project and based on the version by Dart, dug out with tons of new levels on some 55 disks. I think you'll agree with me, this will make for a fantastic weekend worth of retro gaming!